Notes: I find myself in the mood to read some history, so I turn to this e-book. I've had this one a while but been putting it off because it is quite long, and also because I have to be in the right frame of mind to read something so obviously one sided. Currently I'm in that frame of mind, in no small part because I believe the times and situations discussed in this book are quite relevant to today's America. Also, having grown up in a border state and spending no small part of my life in the South, I've been surrounded by this history, though I've never considered myself an expert on it. I've always been drawn more to the period after the Civil War than to that of the war itself, but the two are intertwined, and here I hope to educate myself further. Mini review: The subtitle on this one should be, "Why Everyone Else Was Wrong, Including My Allies, and I Was Right." The actual title is a little misleading, though not completely so. You will indeed read about the rise and fall of the Confederate Government here, but you won't get the whole picture, only parts of it, the parts Davis decided to focus upon, which leaves out years and even the end of the war. Roughly the first fourth of this book pertains to arguments justifying secession based upon the writings of the Founding Fathers, and while I can admit the evidence is fairly strong (not just here, but in other readings of mine), Davis shoves aside any talk on the ethics of slavery in a matter of one sentence. That's it. One sentence. There is no discussion to be found here concerning why the South or Davis believed slavery to be ethical; one is simply expected to understand and agree with the notion of slavery. That, to my way of thinking, is not only a sign of obstinance, but a sign of a lack of an ability to even try to understand one's enemies, whether strictly political or across a battlefield. The middle section of this book is closest to the subject matter of the actual title, focusing upon the creation of the Confederacy, but even here there are few exacting details, mostly Davis' opinions or a handful of recollections, though later in the book he does get into government revenue and some logistics. Roughly the last half of this book are letters and appendixes, many written by Davis himself but just as many written by comrades or friends. Here is where Davis comes darn close to sounding whiny, because most of the material here is basically to refute any and all of his critics over the years. Any serious student of Civil War era history will want to read this, but the casual armchair historian can probably skip it. One thing I found interesting was how much Davis sounds like a lot of today's politicians. Also, this book can give a good notion of the philosophies behind Southern politicians of the time, but not so much the common person. 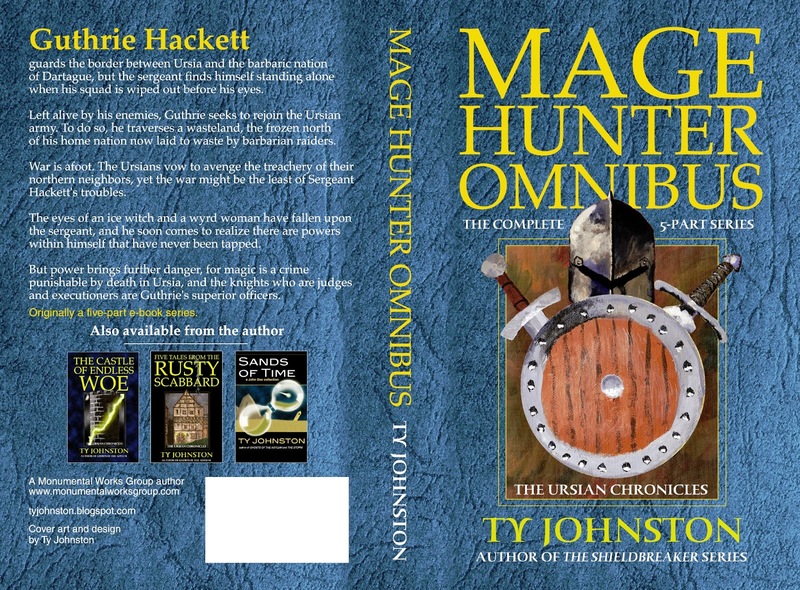 Review of "Mage Hunter Omnibus"
David Reickmann over at the Indie Authors and Books site has left a solid review of my collection, Mage Hunter Omnibus. If you've been wondering if this book or e-book might be for you, or even if you haven't but are looking for some action-driven fantasy to read, please allow this review to guide your purchasing decision. You might like what David has to say about my book, or if not, at least you'll know this one isn't for you. As I mentioned recently elsewhere on this blog, I'm working on some new covers in anticipation of publication of my newest novel, The Company of Seven: Book III of The Horrors of Bond Trilogy. 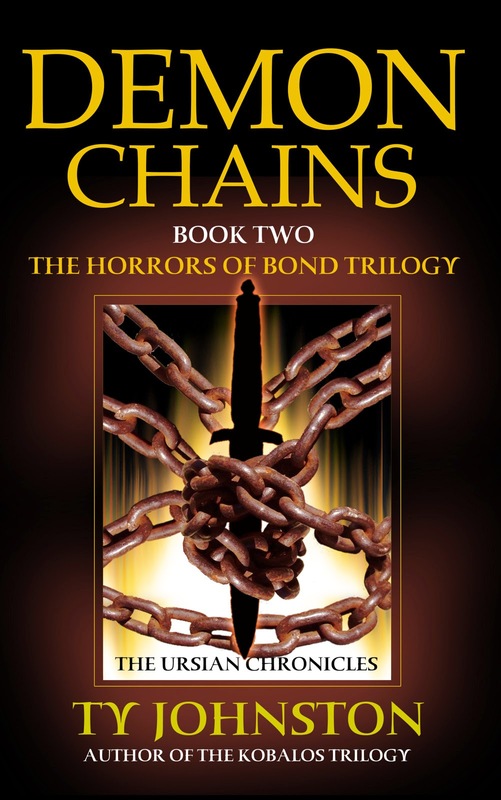 To that end, at the right you can see the new cover for Demon Chains. I might tinker with it some yet as I'm not 100 percent satisfied, but I still think it's better than the old cover. At right is the new cover for my fantasy novel, Ghosts of the Asylum. I won't suggest it's a perfect cover, but I do believe it is quite the improvement over the old one. This cover should be appearing on the e-book versions within the next 24 hours. Also, a print version of this novel is planned to be available in the coming months, and of course will feature the new cover. Why did I change the cover now? Because in the coming months I will be releasing my novel The Company of Seven, which is the third book in The Horrors of Bond Trilogy. 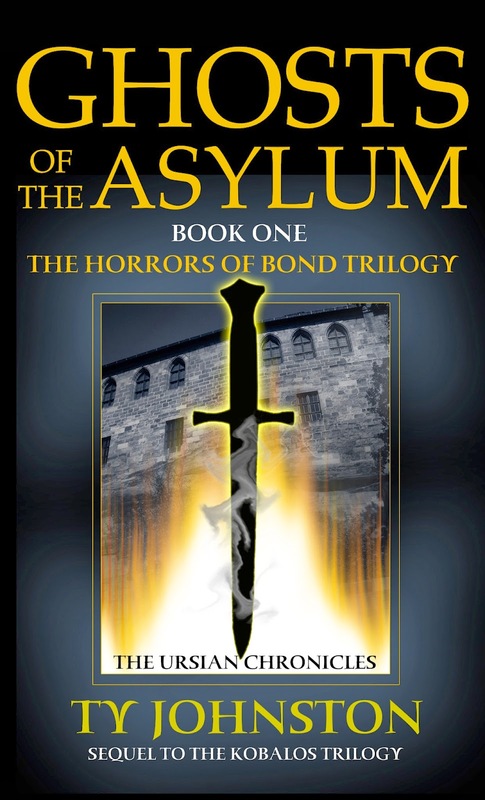 Though I have not labeled them as such until now, Ghosts of the Asylum is the first book in that trilogy while Demon Chains is the second. I wanted new covers to tie together all three books, which means Demon Chains also will be getting a new coat of paint soon. For those who don't care for trilogies, don't worry. Unlike my Kobalos Trilogy, each book in The Horrors of Bond Trilogy stands on its own. The reason I consider it a trilogy is because of somewhat related subject matter and thematic material. Most of the adventuring takes place in the city of Bond and involves my Kron Darkbow character as well as other names that will be familiar to those who read the Kobalos Trilogy; there are also plenty of new names, as well. In no small part because of my wife's recent radiation treatments, all 15 of them spread over three weeks, I've not had a lot of time to write. We've either had to drive for hours each day to get her to a treatment, or we've stayed in hotels near where her treatments are given, and it's not so easy to write in a hotel with another person practically on top of you along with pets. Then there have been the two major snow and ice storms we've had. Power was out for days and again we spent that time in a hotel more than an hour away from home because all the nearer hotels were booked for a big college basketball game. So, as I said, writing has not come easy of late. The good news is I just finished the climax to my latest novel, The Company of Seven. The novel isn't finished, but I'm at 152,000 words in what should be 160,000 once I'm done. Then I'll set the novel aside for awhile, probably at least a month, before I get into editing it. Somewhere in there I'll send out copies to beta readers and editors. Concerning beta readers, I'm thinking of doing something different this time and opening up to the public, probably through a call-out on Facebook. Normally I have a few readers lined up, but this time I simply wanted to go a different way and see what would happen. Once the novel is edited, I've got the cover to design and formatting to do for the e-book and the print edition. I've also got a couple of other covers to rework for older, related novels, and some more print formatting to do. After that, I've a couple of short stories I need to work on for anthologies, and I might considering writing a few other shorts for online sites which have caught my eye. I'm looking forward to working in short stories again, in no small part because my current novel is much longer than anything I've written before and because it has taken me so much more time to finish it than I had anticipated. Such is life when writing. Once I get through my little phase of short stories, I'm not sure what my next long project will be. I've several ideas, but I'll wait and see what my mood happens to be when I'm ready to start the next novel or other, longer work, maybe another serialized story. Notes: I have this unfortunate tendency of misplacing books that have been gifts, and before I've had a chance to read them. I don't know why this is, but it has seemed to happen throughout my life. So, this book being a recent holiday gift, I thought I should read it before it escapes through the mists of time. 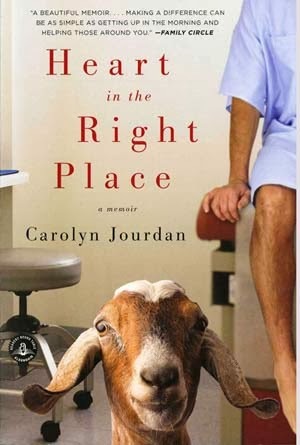 This one is a memoir, apparently about a woman who was an attorney in Washington D.C., yet she gave it all up to return to the small town where she is from in the Smoky Mountains in Eastern Tennessee, all in order to help her ailing parents and her father's medical practice. This might not be something I sought out to read, but I do find it of interest, and I do believe in learning from everything I read. Mini review: Quite the delightful read. Much of it was humorous, but there was more than a little of a serious side concerning death and spirituality. The big question this book asks is, "What do you want to do with your life?" The dilemma here is between a life of relative wealth and power while seeming to help others, or a life of truly helping others but having to live in relative obscurity and with fewer finances. It's a question lots of people, if not most people, have to ask themselves in one fashion or another at some point in their lives. For those who enjoy down-home kind of humor, this book should be right up your alley. 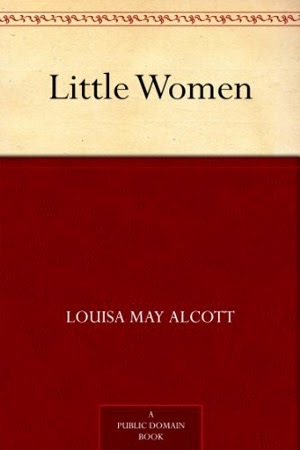 Notes: Every now and then I like to toss a classic of literature into the mix, one I've not read before. I picked this one for a couple of reasons. First, the spouse has been suggesting it for years. Second, I've been trying to read more female authors. Mini review: This was a surprisingly good read. I like this book for a number of reasons, a big one being that it is so uncynical, a rare treat in today's world and a nice change of pace. Also, the author impressed me right at the beginning by throwing a bunch of characters at the reader, but within a few pages the reader had quite the distinct notion of each characters' looks, ages, backgrounds, personalities, etc., which is quite rare and difficult to do. For those seeking lots of action or a straight plot, this won't be your thing, but for those seeking a little reading that's not too serious and offers simple though not simplistic characters from an era with a more sedate pace, this could be your thing. The story is mainly about four sisters, how they grow from teens to young women, the men they meet and marry (or don't), their children, their spiritual goals and growth, etc. In a few places it becomes overly sentimental, but it doesn't stay that way for long. Overall, I enjoyed it, and can give it a solid 4 out of 5 stars.